Now available in a stimulating spray Plus take a look at our multipack offer. 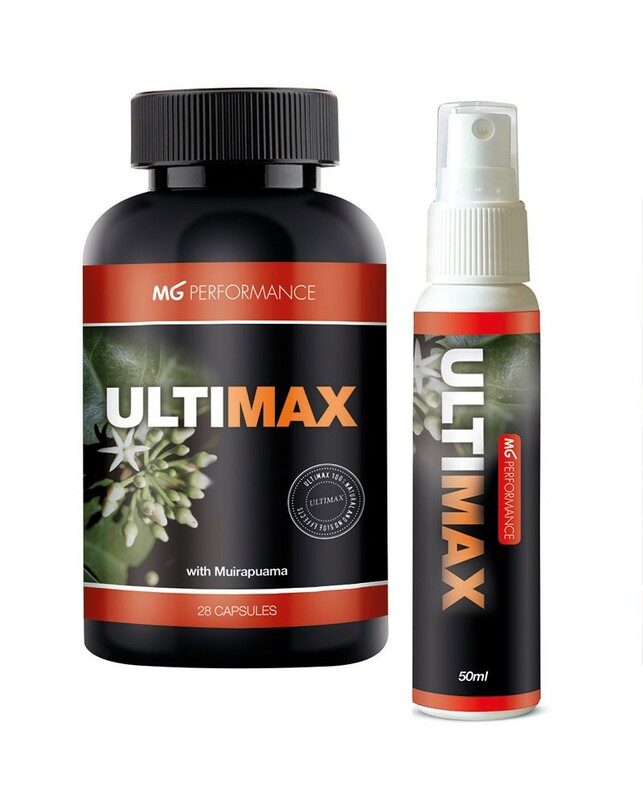 ULTIMAX is 100% NATURAL, It contains a special combination of plant extracts including Muirapuama, a small tree from the Amazon, traditionally used by Indians as a powerful tonic and aphrodisiac. The buds of its white flowers are used in the ULTIMAX formula, containing high concentrations of resins, a bitter principle, essential oil, tannins and marapuamine. It’s the most phenomenal sexual stimulant ever imagined. Food supplements must not replace a varied diet. If you are taking prescribed medication, or have any medical conditions, please consult your doctor before taking food supplements. 100mg Nicotinic acid may cause skin flushes in sensitive individuals. Do not exceed the recommended intake. Store below 25°C in a dry place, out of sight and reach of children. Spray - Caution: Test on small area first to ensure there is no reaction. If sensitivity occurs discontinue use. Do not apply to damaged, inflamed or compromised skin. Keep away from eyes. For external use only. Keep out of reach of children. Aqua, Helianthus Annus Oil, Glycerin, Acacia Gum, Ginkgo Biloba Extract, Panax Ginseng Extract, Phychopetalum Olacoides Extract, Piper Nigrum Extract, Potassium Sorbate, Sodium Benzoate, Flavour: Mentha Piperita, Citric Acid Monohydrate, Sodium Methyl Paraben.